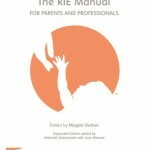 Baby Knows Best: Raising a Confident and Resourceful Child, the RIE® Way is a comprehensive, accessible guidebook that introduces readers to Magda Gerber’s Educaring® Approach. Beginning with Gerber’s idea that infants are competent, capable individuals with ever-developing abilities to communicate, problem-solve, and self-soothe, the book illustrates how to put ideas into practice, yielding more relaxed parents and more confident, self-reliant children. 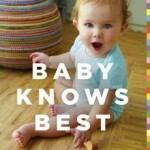 Baby Knows Best addresses infancy through toddlerhood, beginning with being home with your newborn, and continuing on with how to care for your baby respectfully, the ever-important topic of sleep, movement and motor development, play, setting limits, child care, parenting support, and continuing the practice as your family grows. RIE® Associate Alexandra Curtis Boyer illustrates “how unstructured play with simple toys is one of the best gifts you can give to your child; how easy it is to create your baby or toddler’s very own safe play area; and details f the first two years of development, focusing on play skills and the age-appropriate toys that help develop them.” An engaging and easy-to-read guide with wonderful photos and resource list.